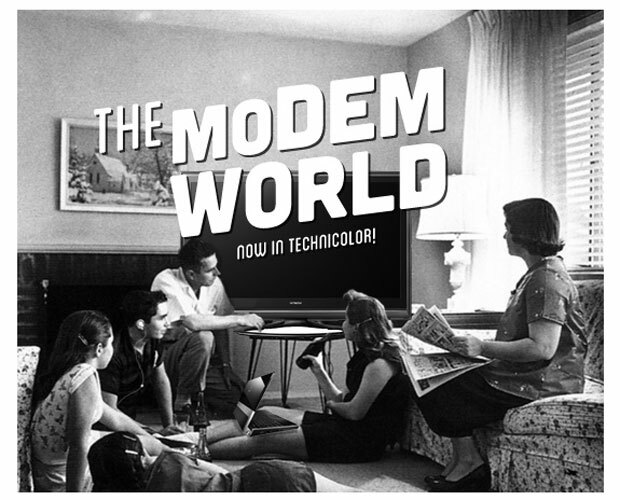 This is the Modem World: Bring It On, Sony. Please. The Wii U launch sort of came and went, didn’t it? I mean, it’s a nice console, but it certainly didn’t cause any major waves. In fact, Nintendo only sold 57,000 units in January. For those who don’t track game console sales numbers — and why would you — that’s bad. Very bad. And now we’re all waiting so see what Sony does with the PlayStation 4. Rumors are that they’ll do what Sony always does: Pack a ton of technology into a package that will be expensive — but cost less than it should — in order to get early adopters on board. It’s actually possible that by the time this column is posted, Sony will have already released details about its upcoming hardware and you’re too busy oohing and ahhing about frame rates and visual controllers. I hope so. It’s clear that we need new hardware. We’re desperate for something amazing. We need a new hardware war, something to get us fanboys off our heels. Faint rumors about Microsoft’s next console, images of possible new PS4 controllers and buzz about anti-DRM features have me interested, but I’m not getting the sense that people are bouncing around message boards, gritting their teeth and hungry to get their hands on a new console this year. Perhaps it’s because the last generation of hardware is still quite serviceable. I still use my PlayStation 3 and Xbox 360 on a regular basis. The PS3 is my go-to Blu-ray player and I’ve been grinding my way through Ni no Kuni. The Xbox 360 does my Netflix and media playback duties and is also my choice when it comes to playing shooters given Live’s solid performance despite throngs of screaming fools. At this point in the previous hardware generation, I was more than ready for new hardware. Shadow of the Colossus was dragging the PS2 to its limits. I wished at the time that I was playing it on more powerful hardware. Meanwhile, the giant Xbox was clearly ready for better networking features in order to do all Microsoft wanted to do with Live, and who didn’t want a prettier Halo? Meanwhile, the GameCube desperately needed to be replaced by something more innovative and competitive. All three companies delivered. The powerful PS3 is still the best Blu-ray player on the market, Xbox Live is the best gaming network outside of Steam and the Wii remains an excellent party device. I’m worried, though, that this next generation will just be more of the same. The PS4 certainly sounds powerful, but what can it possibly do that will blow our socks off? There isn’t a new optical format to get excited about. The new Xbox will most likely also be a powerhouse, but instead we’re hearing more about how Microsoft could be appeasing publishers with some strict anti-DRM measures. We all saw what Nintendo did: Innovate a little, but keep the Wii brand name and deliver a better — but similar — experience. In short, these are probably going to be the most conservative game console updates we’ve seen yet. We’ll hear a lot about applications, digital downloads and better performance. We’ll have a hard time telling the difference between a game console and a set-top box. But what we’ll be left with might be underwhelming, and that’s going to be disappointing. Let me be clear: I hope I am wrong. Maybe it’ll all be in the apps and the way they change the way we consume games and media. Maybe the new devices from Sony and Microsoft will allow us all to finally say goodbye to cable companies. Maybe we’ll never have to rent a Blu-ray disc from Redbox again. Or maybe it’ll just be more of the same. Here’s hoping it won’t be. C’mon, Sony. C’mon, Microsoft. Get crazy. For the quarter that just wrapped, the firm saw revenues of $306 million (a 500 percent increase sequentially from the $50.1 million seen in Q3 2012), and it ended the year with $221 million in total cash after having made the first quarterly principal payment of $12.7 million to repay the loan to the U.S. Department of Energy. 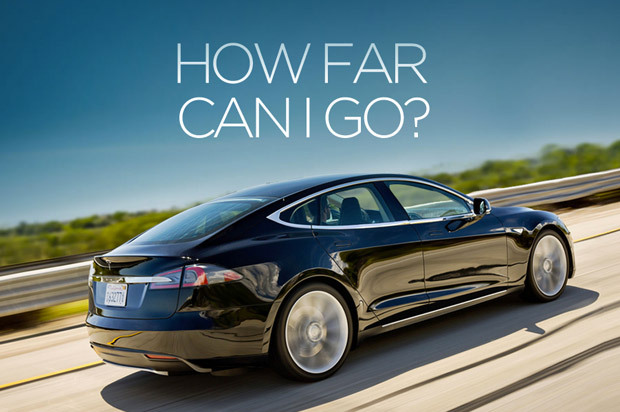 Tesla also plans to deliver some 20,000 Model S vehicles in 2013, with around 4,500 of those happening in Q1. Europeans and Asians can expect their deliveries in “summer” / “late this year” (respectively), with the first Model X deliveries to occur in early 2014. Musk also told investors that it plans to “spend significantly less on capital expenditures” in 2013 compared to 2012, helping to (hopefully) generate “slightly positive net income on a non-GAAP basis” in Q1 2013. 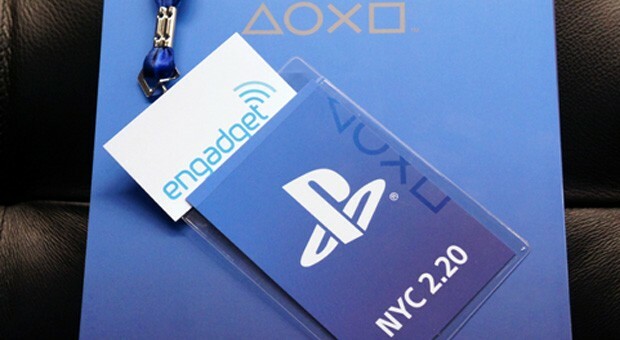 Engadget’s Sony PlayStation pre-event broadcast: live from New York City! We don’t know for sure that it’s going to be the PS4, but Sony sure as heck has something PlayStation-related to show us tonight, and we can’t wait to find out what it is. Join the editors of Engadget and Joystiq for a pre-event live video broadcast in which we’ll break down the myths, the rumors and the actual information we have on the console codenamed Orbis. Join us after the break where we’ll be talking all things Sony. Update: And that’s a wrap. We’ll have the video up soon so you can watch it all over again. Up next: the liveblog. This entry was posted on February 20, 2013, 5:34 pm and is filed under Mobility. You can follow any responses to this entry through RSS 2.0. Both comments and pings are currently closed.